Congratulations to Lindsey who wins a £25 Amazon voucher! Her tips kick off the proceedings and we thank everyone else who also contributed. We had so many we cannot publish them all but the pick of the bunch is below. I revise using a STRAWBERRY kitchen timer (like the Pomodoro technique). This seems to allow me to revise more productively and I am about 100x more focused. Literally, before I used this I had next to no focus and I procrastinated and got distracted CONSTANTLY. But I find it a lot easier to do work and the time doesn't fly by with me not feeling like I have done enough. I set the timer for 30 minutes. Then have a 5 minute break. Then do another 30 minutes and then have a 20 minute break etc. I hope to increase my revision time between breaks gradually. I also have to write down anything I need to do, that I think of on a separate piece of paper so I don't start doing stuff like wishing someone happy birthday on Facebook or tidying my bedroom until one of my breaks. Don't Procrastinate. As easy as that sounds, it takes a lot of will power for most of us. And that book, computer game, TV show or whatever will feel so much more satisfying and BETTER if you aren't worrying about the work you haven't done yet. But that doesn't mean you have to give up your vices... if you do you won't revise as well either because you will lose concentration and motivation. Use lots of COLOUR it helps. But don't just use it randomly, try to use the colour to organise your thoughts, group the notes into topics or just to highlight keywords... whatever works for you. But colour always makes it more interesting. Past papers. That doesn't mean you have to sit down and do a paper in timed conditions in silence... just doing the questions help. Personally, I do about 50% untimed, 25% timing per question but only to see how long it took me in relation to marks and the rest of the paper (not to limit myself to one mark per minute yet), then the final 25% is fully timed (...either mark per minute per question plus a little extra that could realistically be spared in an exam because not all papers have the same number of marks as minutes. Or just turn on that timer - turn off the music if you want to practice in exam situations- and time the time the exam actually would be. Don't forget to eat, drink or sleep. That sounds easy as well. But people who drink more (but not too much) and sleep for around 7-9 hours per night are likely to do better purely because they are "firing on all cylinders". But the temptation will be to eat junk food or just fruit or just your meals. Snack for sure... keep energy levels high- but not too high. Finally, don’t panic. I find my big problem is if I procrastinate I panic that I haven't done enough work, resulting in more procrastination to calm myself down, then more panic. Try to stay calm. It is true these exams affect your future. But whatever happens was meant to happen. A lot of people's plans change and quite often people look back and think: "why did I ever want to do that... it's not me at all". It's not the end of the world if you fail, it is only the end of the world if you didn't try your best although quite often what you perceive to be your best is unrealistic... very few people can revise solidly without relaxing and even fewer can do well if they do because the stress will have got to them. Your best isn't your target grades or your predicted grades or even what you "could get if...” Your best is what is realistic, what you will be pleased with and when you can say to yourself "the only way I could have done better is to have lost all my social life, my hobbies, stressed myself out and basically failed because of it. I persevered with what I couldn't do... I can do most/all of it now and I am proud". Look back at what you knew at the beginning of the year... have you learnt something? Have you learnt a lot? If you can say yes, even if you didn't get that grade, you did your best... and that's all that matters. Read the syllabus for a subject, see if you can respond to each part, if not, re-read the textbook and write yourself questions of which the answer is the missing bit of knowledge you had. Then keep going back and ask yourself the question until it is in your head. Write notes (ones you're able to understand, in your own words. Don't just copy) in colour or use drawings to help remember things. Particularly key words or explanations stay in your head with colour. And try to make it fun! Treat yourself to chocolate after a good, focused revision session. If that doesn't appeal to you, watch YouTube videos, there are so many formats - songs, funny sketches, experiments; all to help you learn! You won't have time to re-write notes and make them all pretty - so make the first draft of notes you take worth it! When revising, go straight to past papers - this is particularly useful for the sciences. If you have forgotten most of the content, use the mark scheme for recall questions on the first couple of questions you do. 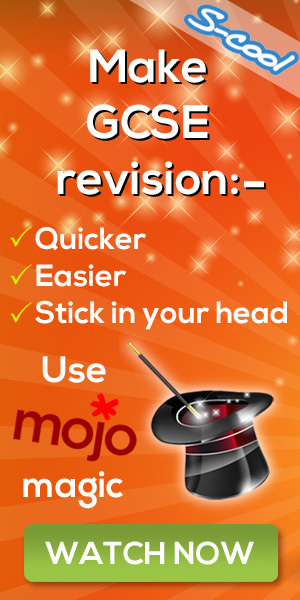 This way you re-learn the content without wasting precious time rewriting notes passively!